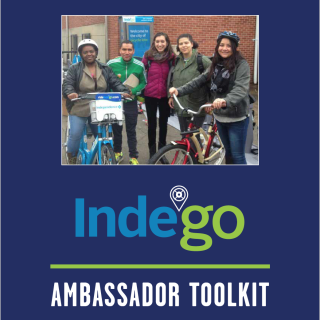 In the 2016 Indego Community Ambassador Toolkit, you’ll find information about Philadelphia’s bike share system’s programs, policies, and partners, as well as tips for how to talk about bike share, help sell passes, and more. 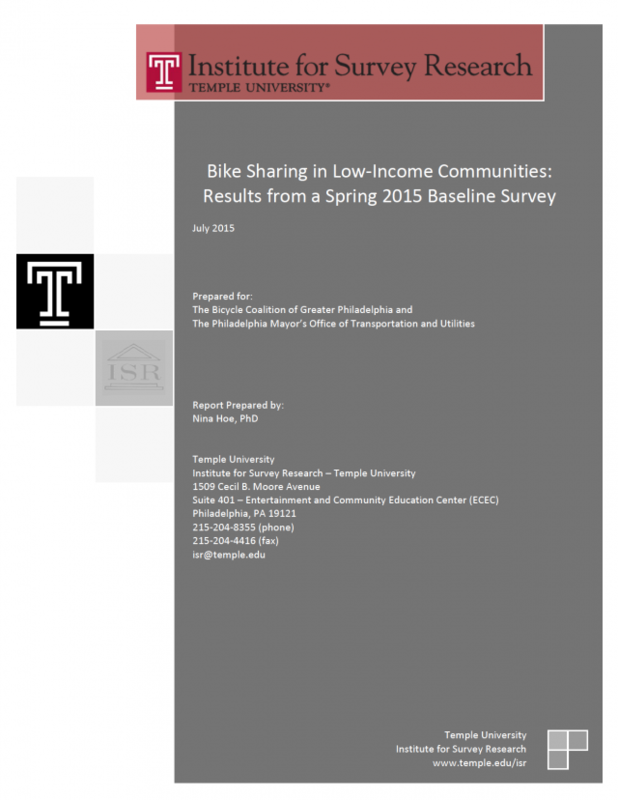 As part of the Better Bike Share Partnership grant, the Bicycle Coalition of Greater Philadelphia and the City of Philadelphia partnered with Temple University to study opinion of bike share in low-income communities. 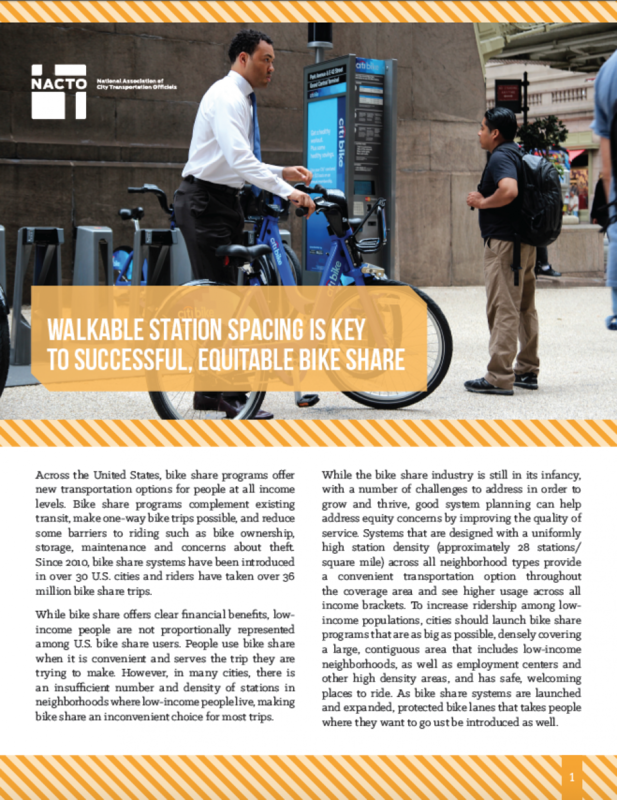 As a part of the Better Bike Share Partnership, the National Association of City Transportation Officials (NACTO) works to further the understanding of equity in bike share. 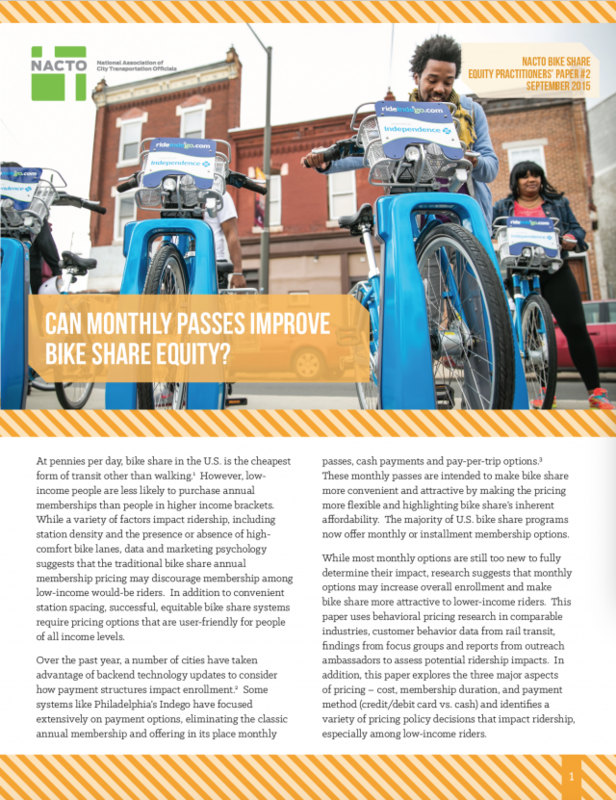 NACTO’s contributions include a series of research-based Equity/Practitioner’s Papers that present best practices for making bike share work for and better engage low-income people, as well as other research materials. In addition, they strive to expand industry knowledge through facilitated discussion among practitioners and the creation of a one-stop bike share resource clearinghouse. NACTO is also leading efforts to standardize bike share system data and make it available for deeper analysis. The NACTO Bike Share Program is led by Kate Fillin-Yeh, the former director of New York City DOT’s Bike Share Program. At NYC DOT, Fillin-Yeh was responsible for the system planning, outreach and implementation of the Citi Bike system. 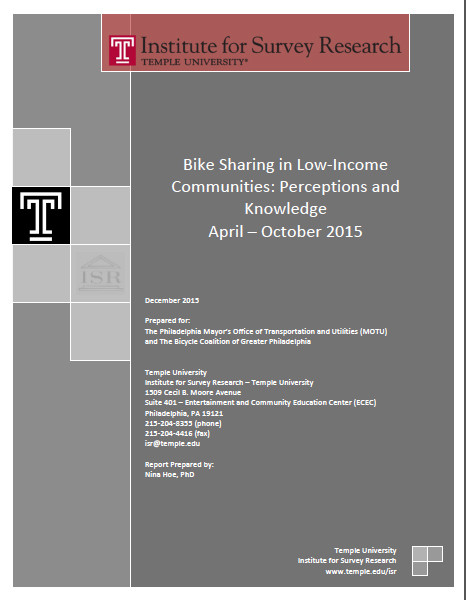 Fillin-Yeh also authored New York City’s 2009 bike share feasibility study, Bike Share Opportunities in New York City. For more information about NACTO’s Bike Share Program, or to inquire about using NACTO’s bike share system convenience model, contact Kate Fillin-Yeh, Bike Share Program Director, at kate@nacto.org. The Better Bike Share Partnership has awarded $74,986 in grant funding to researchers at Portland State University to collect and examine data such as perceptions of bike share, barriers to use, success of specific interventions to increase use, and the impact of station siting decisions in Philadelphia’s Indego Bike Share System.